During the Autosport Show weekend, I had the chance to have a good play with a new Vauxhall Corsa. My view of these little cars is that they’re for timid drivers or someone who just wants something affordable and sensible. The VXR range does a good job of making them appeal to the more racy drivers among us but, mostly, these are quite average cars that are aimed at the mass market. Nothing wrong with that but it’s not a car I would choose. However… With a 1.4 turbo engine, this is a surprisingly fun little car. It pretends to be sensible and practical but when you plant your foot it just bursts into life, it’s never going to rival a hot hatch but it’s a great car for someone who isn’t quite ready to give into to a small, sober family car. I love the front of these new Vauxhalls, the badge placement and front grille just makes them stand out. The rest of the car is nice and I like the little Turbo badge on the back of this one. In terms of overall looks, though, the five-door version is a bit too upright for me but I get it, this model is aimed at families and that extra space in the back is necessary. I was worried that the interior of this car would have the confusing button layout that made the inside of the Cascada look so busy but, thankfully, it didn’t. In fact, I really like the inside of this car. There’s an easy-to-use touch screen computer and basic buttons and dials that do everything you need them to do. The Corsa manages to feel a little more upmarket than perhaps it is, considering this version costs just £13,840 and that definitely adds to its charm. I did a number of long drives in this car. The first was to Cambridge, the second to Birmingham for the Autosport Show and the final one to Southwold. These are all very different drives and the Corsa remained comfortable throughout. Cruise control, heated seats and a heated steering wheel meant that I was more than happy to hop into the car on a chilly morning and hit the road. Driving the car didn’t require a lot of effort and after a lot of driving over one week, I was very glad for that cruise control. These are all added options above the base model and worth the extra money if you’re going to be doing a lot of long journeys. 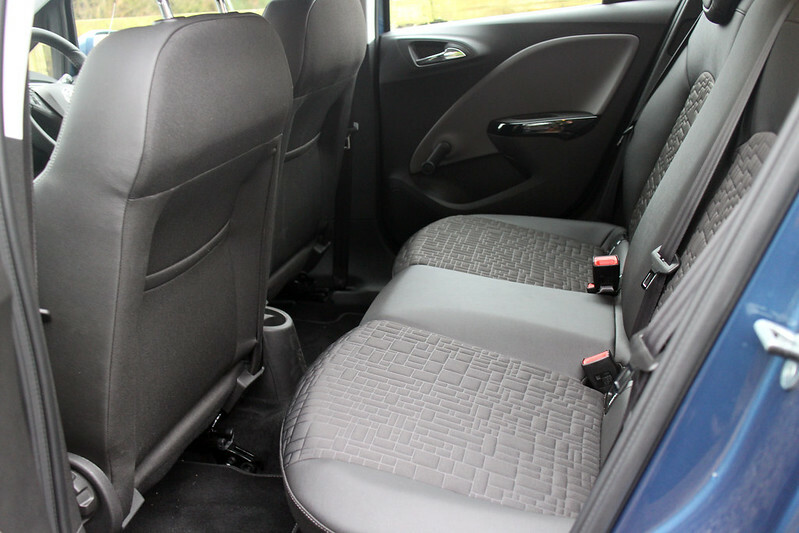 In terms of practicality, you can easily fit three in the back of the car with enough headroom for adults (this is slightly reduced in the three-door version as it has a sportier-looking sloped roof). My other half is a snowboarder and was embarking on winter holiday the day after I got this car so I thought that’d be a good test to see how practical it really was. With the seats down in my Fiat Punto, the snowboard bag still has to rest between the two front seats. Not exactly comfortable on a long drive. I assumed this would be the case in the Corsa. 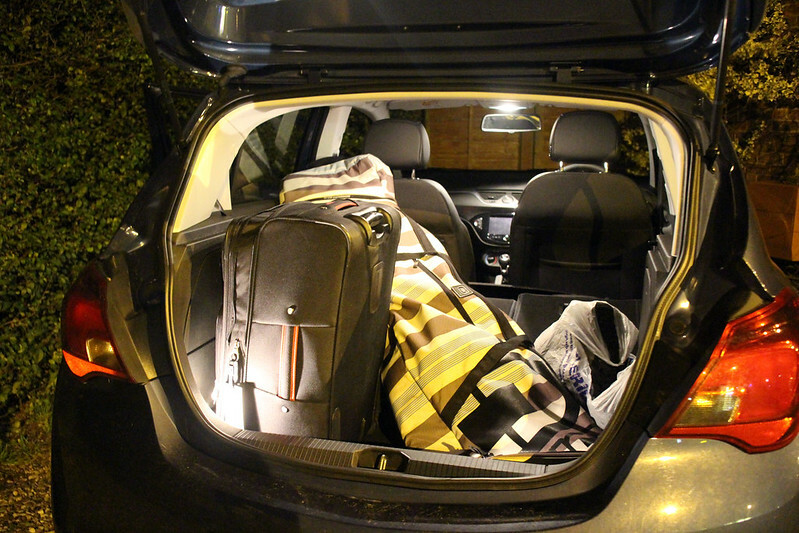 In actuality, the snowboard bag could lay down diagonally in the back of the car. Great news for the side of my head! Alongside it we tucked the suitcase and off we went (at 1am…). The 1.4 turbo engine isn’t quite as gutsy as the 1.0l turbo but it still offers a fun ride and it sounds good too (although I know some people disagree with me). It’s not the kind of car you’d call fast but you won’t have trouble overtaking or getting on with your journey. This engine gives your practical choice (whether it’s your first car or a family car) a fun element too. If you want to take this a step further you can go for the VX-Line options pack on an SRi Corsa. This gives you lowered, stiffened suspension that’s still comfortable for general use but improves the handling if you want a sporty feel. 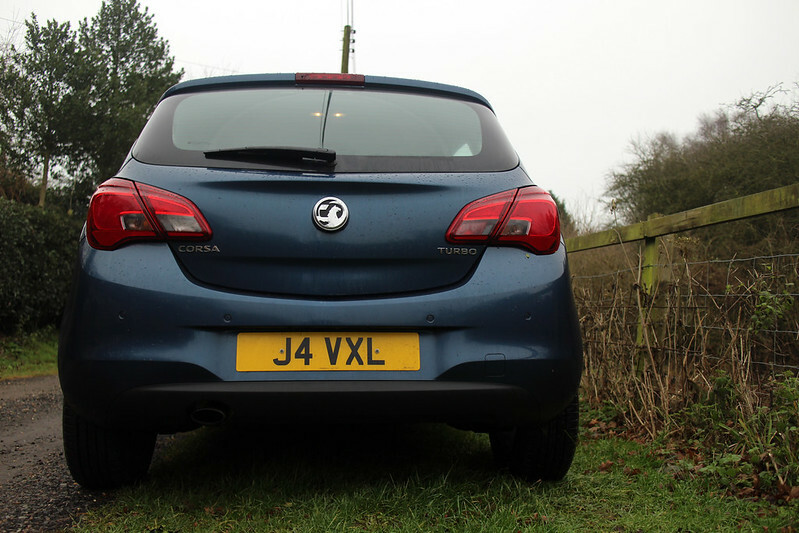 I took the car on my usual driving route around Norfolk and despite being held up by every piece of slow-moving traffic in the county, I got a chance to test how the Corsa ran on bendy country roads. There’s a definite fun factor there and while you’re not going to be racing out of corners, it’s not boring. 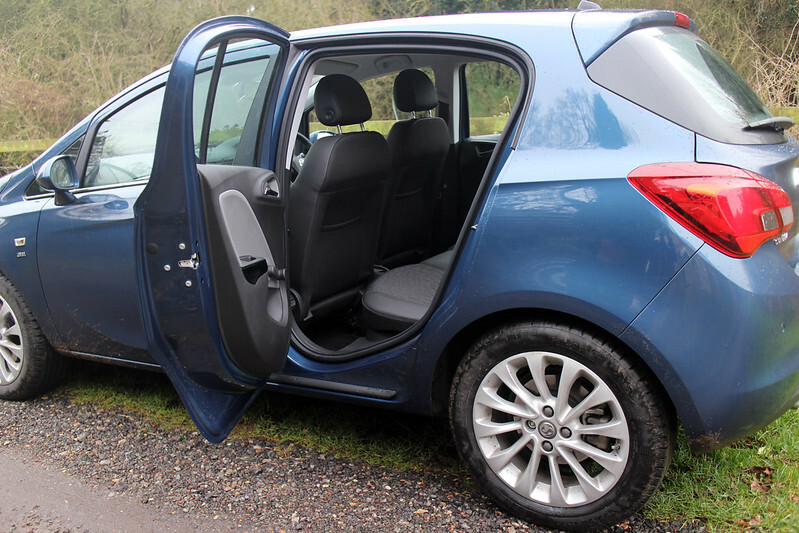 If affordability and practicality are high on your list of priorities then you can’t really go wrong with a 5-door Corsa. There’s plenty of space, a whole range of options to suit your needs/driving style and, if you get one of the little turbo engines, there’s this flutter of excitement that runs through a car that’s pretending to be sensible. All in all, the new Vauxhall Corsa falls in with its older stable mates as a great choice for new drivers and small families. Next ArticleHappy Birthday Dodge Cars!